Thanks! Magnolia and PDL are excellent films. I’d recommend that you try out Boogie Nights and There Will Be Blood too… maybe in that order! Nice article. 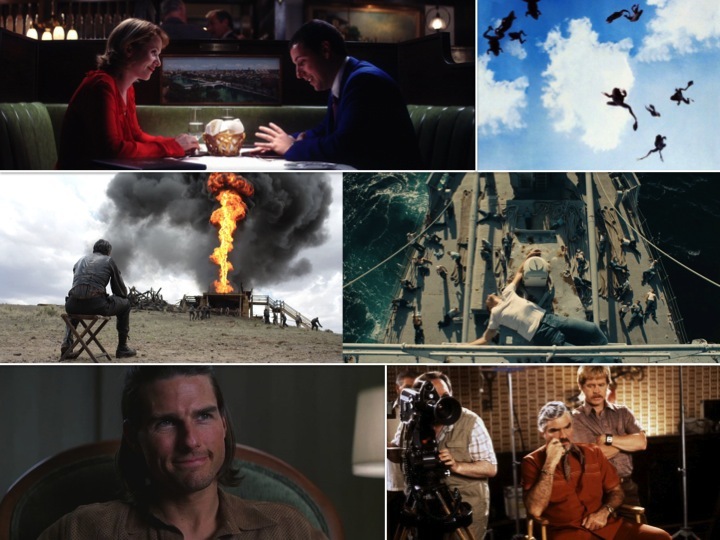 Paul Thomas Anderson is one of my favorite directors of all time. What I love about his work is his hypnotic style and tone. Magnolia is my favorite by him and it’s a brilliant study of interlocking relationships. I think for his best, that might be between Magnolia and There Will Be Blood. Thanks. And I agree, it’d be Magnolia and then There Will Be Blood for me too. Probably Punch Drunk Love after that. Great idea for a series! Gotta say that my favorite film by Anderson is TWBB, but I haven’t seen but a few of his movies. Thanks a lot! TWBB is a brilliant film – I don’t think anyone else could have made it, or even conceived of it in that way. And Daniel Day Lewis is just awesome in it. I’d definitely recommend that you search out PTA’s other films. I am always excited to read your posts, as you seem to do the same thing–take that time to really enjoy your entertainment, feel something for it and in return share your passion with the rest of us. Thank you. Oh I really love that passage. I guess that is what I do – except it’s not a conscious thing. But yeah, making sure I absorb everything is really important to me… especially for something great, it feels worthwhile to take more time over it. And I do think that some people miss out by moving too quickly. Although, like I said on your post, I do also sometimes wish I could read just a bit more quickly! But thanks again for being so lovely and supportive. I’ve only seen there will be blood and the master. I hate the master, but my love for there will be blood outsets my hate for the master. That movie rocks. Yeah, The Master is a difficult one to love. But I’d highly recommend that you make time to see Magnolia. It’s a great film. Nice tribute, Mark. The man is indeed an artist. One of the best in the business today! Yeah, I’ve only seen The Master once… definitely need to see it again. I think it may be weakest of his films… but that doesn’t mean it’s a bad movie… just had a lot to live up to. Great performances from Phoenix and Seymour-Hoffman. Very nice post sir. I do agree that he does get really good performances from his actors. Who would have thought that Adam Sandler would receive any award recognition other then a Razzie. I only wish I could have seen more of Anderson’s films on the big screen. Thanks – much appreciated. And yeah, the Sandler performance is the most surprising – but pretty much all of his films have 2-3 great performances. Check out your local listings in case they ever re-screen a movie somewhere… definitely worth it. I wasn’t a big fan of the Master, it bored me to tears really. Magnolia was incredible. Yeah, I need to see The Master again. I loved most of it but it felt as if it lost it’s way about two thirds of the way through… my least favourite of PTA’s films so far. Nice Article Mark, for some reason I had not made the connection that these were all PTA films. I watched The Master over a month ago and I am still trying to wrap my head around it. I definitely need to see The Master again. There was lots about it I liked but it did also feel like it lost its way. Fantastic article. I was never been a PTA fan but I adored The Master and I’m falling in love with his work with each revisit. Thanks! I’d definitely encourage you to seek out his other films… like I say, even if they’re flawed, they’re still pretty amazing. Magnolia is probably my favourite.